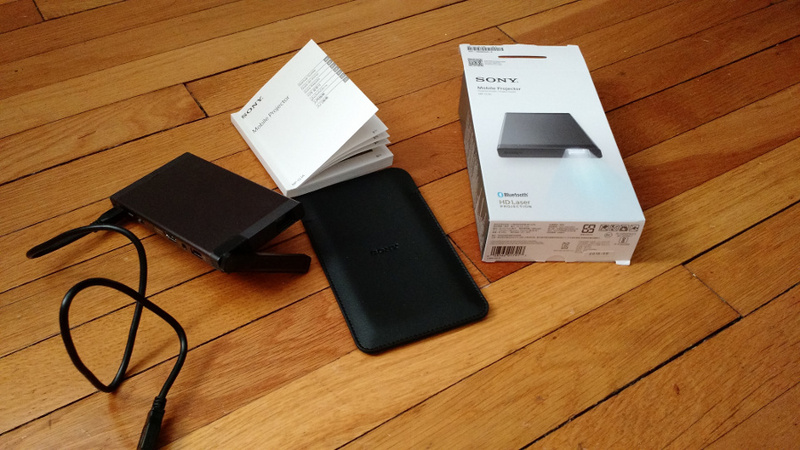 Sony asked if I wanted to review their MP-CL1A mobile projector so I said yes. It is based on the Microvision pico engine which consists of an RGB laser source and a 2 axis scanning MEMS mirror. Overall, I cannot say I would find this projector useful in any activities I might want to use it for. The best application seems to be watching movie or video content in a dim to dark room where the viewer is not too picky about image quality. 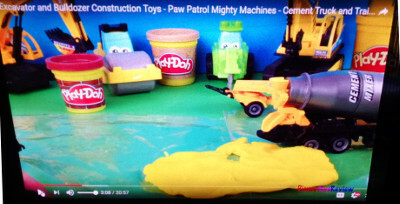 My grandson would find this cool as he can watch YouTube videos on the ceiling in his room when paired to his tablet. I was more interested in seeing if this projector could act as a second monitor when I am on the road and connected to my laptop or mobile phone. Unfortunately the image quality is just not adequate to serve this need. The biggest objection is speckle plus the low lumen output. Can it work for mobile presentations? Yes, but in limited circumstances – like a dim room, small screen size and viewers that are not focused on the image quality but the message. There is not much to this product: projector, USB cable, lens cover/stand, soft cover and a manual. Sony apparently thinks the primary use case is pairing with a mobile device as they do not include an HDMI cable, which is needed for any wired connection. Connecting to the projector was easy. Using my Android mobile phone, I went to the settings menu to activate mobilecast. The phone saw the projector and all I had to do was accept the paring on the projector. The unit supports Wi-Fi in the 2.4 and 5 GHz bands. The projector also supports a wired HDMI or MHL connection (cables sold separtely). iOS devices require an Apple Digital AV adapter (sold separately as well). I also plugged in the HDMI cable from my laptop and was able to easily switch sources to access laptop content as well. However, I would recommend either providing this cable to moving to a smaller HDMI connector on the projector. The MP-CL1A mobile projector is rated at “32 lumens with an equivalent brightness of 40 lumens with a 30% white area.” They don’t specify what equivalent brightness means, but I suspect they are accounting to the HK Effects which makes some colors appear brighter when they are more saturated. The laser primaries of the projector should allow for a larger color gamut, but this is not specified. Only the wavelength range of 445 to 639nm is mentioned so we don’t know what the green laser wavelength is. It is listed as a Class 3R laser device. Color reproducibility is quoted as 16M colors, so 8-bit per color with contrast of 80,000:1. Resolution is said to be 1920×720, but that is not consistent with their stated aspect ratio of 16:9. We suspect the actual resolution is 1280×720. The horizontal field of view is 42.5 degrees. 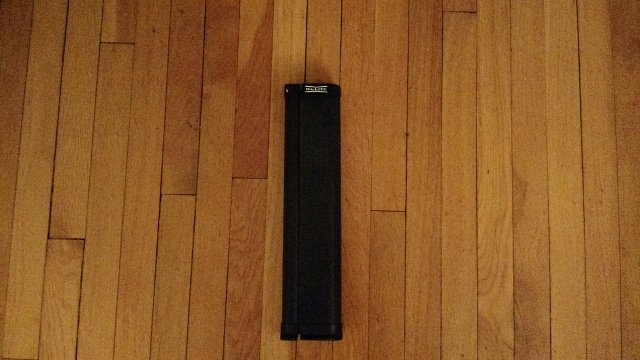 The 3400 mAh battery is said to be good for 120 minutes of continuous projection. Navigation is done with one button on the side of the unit. Depressing it acts as an enter command while forward and backward movements are used to navigate around menu options. This worked just fine. There are 7 top level menu items: input; keystone correction, flip, picture setting, Bluetooth, set up and information. Input allows connection via HDMI/MHL or mirroring while the flip option is for left/right image inversion. The keystone correction option allows for several preset options (based upon using the stand, we presume) or adjustment of the horizontal and vertical correction manually. There is no lens off set on this projector, so unless it sits at the edge of the table or is positioned on a flat platform of some sort, you will use the stand that comes with the projector. This will require some keystone correction, which seems to work well in our testing. However, keystone correction always adds processing to the image, which will generally degrade sharpness and definitely reduces brightness. 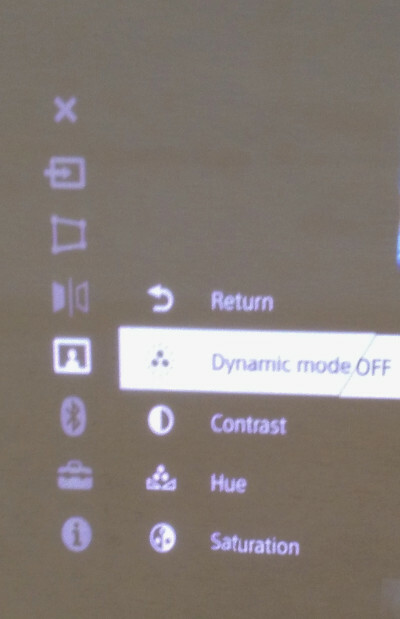 Under picture settings, the options are dynamic mode (like with TVs, really over pushes the saturation), contrast, hue and saturation. These options work like their counterparts on a TV. We played with these a bit but found the out of box setting were the best. The Bluetooth menu options include connection, show device and an interesting lip sync feature, which we presume adds the proper delay for correct syncing. When we connected with a Bluetooth speaker to see how it worked, this option was not available. There is nothing in the manual to suggest how to activate this either. Overall, the 1W speaker is clearly not adequate for any audio, so a Bluetooth speaker or headphones are needed. In the set up part of the menus there are options to name the device, sleeper, factory reset, software update and two alignment options: optical and biphase. The manual has no details on what these alignment options mean or do. We tried playing with the optical alignment which adjusts the alignment red, blue and green horizontal and vertical lines. However, our efforts lead to a worse result with a clear loss of focus and sharpness of the image. Cancelling the adjustments returned the projector to the factory settings, which were much better. The first thing to mention is the usability of this device. While is small and light weight with easy connectivity, finding a suitable surface to project onto can be challenging. Painted walls usually have color so you need a white wall. Plus, walls/paint have texture that is not ideal as a screen surface. And, finding a good way to position the projector to get straight on projection to the wall can involve looking around for suitable objects to place the projector on. Otherwise, you need to use the stand and adjust the keystoning. All this kind of defeats using the device for impromptu image sharing, seems to me. To make some measurements, we took care to set up the projector in a more optimal configuration. We suspect most users will not go to this trouble, however. The set up consisted of a rather crude stand to place the projector on with a screen directly opposite. All image setting were out of box and no keystone correction was used, which boosts the brightness and sharpness considerably. 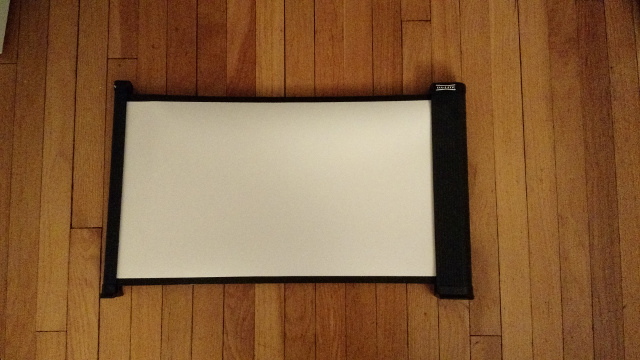 The screen was a matte white pico screen from Da-Lite with a 26.5” diagonal. This folds up for handy transport and was built for this application. 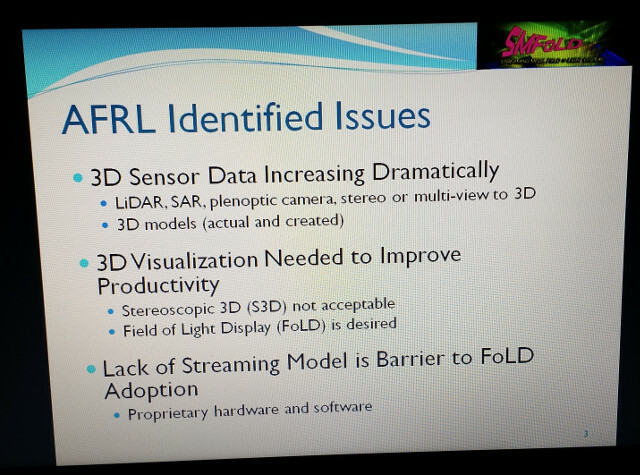 The project-screen distance (29 inches) was adjusted so the projector image filled the 16:9 screen. We looked at two use cases: entertainment and work related activities. 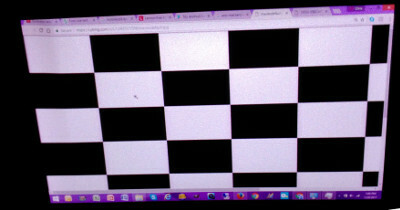 Images included a black and white checkerboard pattern, a colorful video, text of different font sizes and a PowerPoint slide. 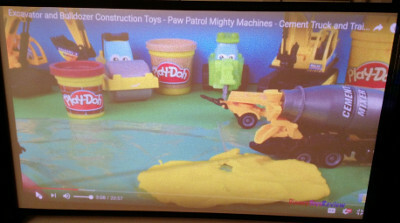 Images were sourced from the laptop and mirrored over HDMI onto the projector. 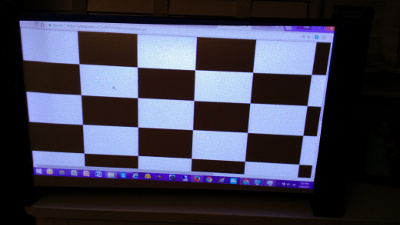 For the checkerboard pattern, we measured the white segment, black segment and room ambient at the screen surface for three different room illumination levels (normal office, dim and dark) (photos below top to bottom). The measurement results are shown in the table below, along with the laptop contrast for the dark room condition. 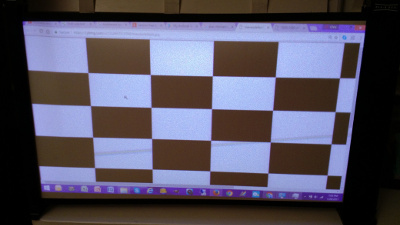 Note that the projector’s black and white contrast can exceed that of the laptop in a dim or dark room. But contrast does not tell the full story, of course. 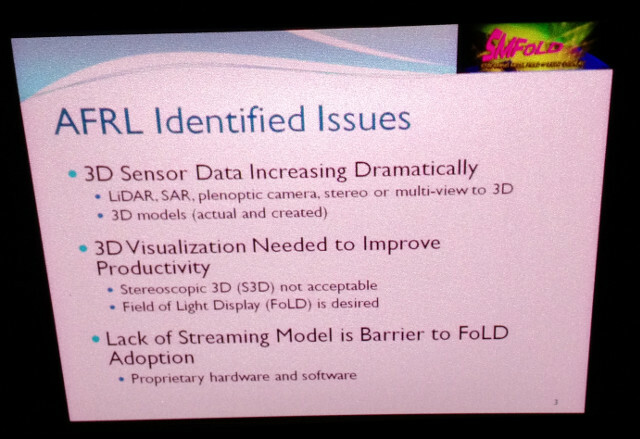 The images below show screen shots of the projector image (top) and laptop image (bottom) in the dark room. What these photos don’t capture well is the impact of speckle on readability. 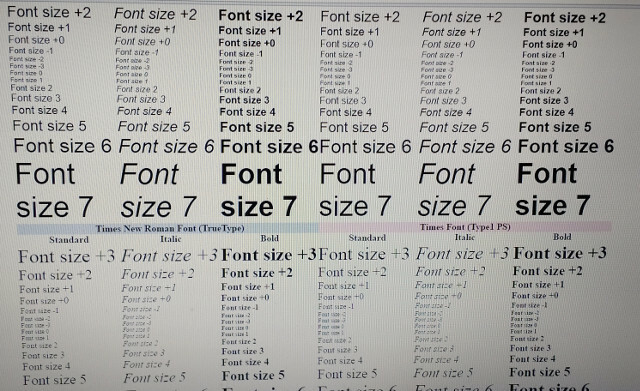 It is very bad depending upon the font size. If you want to look at web pages or text documents with the projector, you will not be able to do so – the speckle just destroys sharp edges. 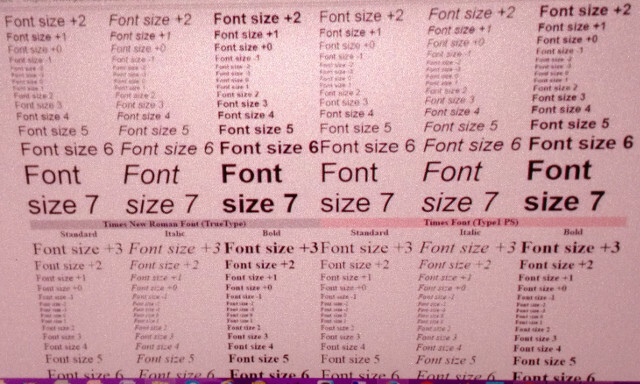 However, the PowerPoint slide with its much larger fonts was acceptable – except for the speckle. 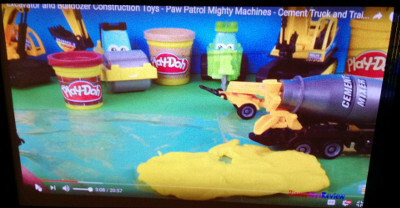 The photos below show a video screen capture in the three different ambient light levels (bright, dim and dark, top to bottom). Note that the contrast and image quality is now similar for the dim and dark room environments. Besides the speckle, video in the dim environment will mostly be acceptable on a screen this size or so. The colors are very similar to what was displayed on the laptop. Overall, this projector is best suited for non-critical video or photo viewing in a dim or dark room. 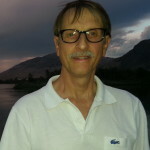 Chris Chinnock the founder and president of Insight Media. His areas of focus include the 4K ecosystem, laser displays, 3D/Light Field/Holographic displays, advanced imaging technology (HDR, HFR, WCG), VR/AR/MR and emerging technologies and products in the broadcast, consumer electronics, ProAV and the display industries.